The weather lately is terrible. It has been a downpour of rain with temperatures as low as 43F. I do not want and should not be sick when the people surrounding me have been sick. I don't want a repeat of last year where my year begun and ended with with cough and colds. 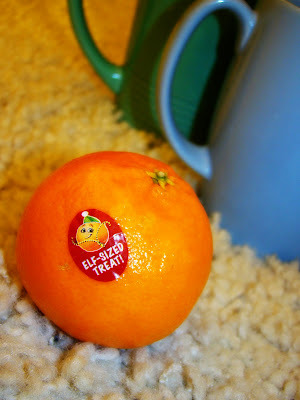 A vitamin C for good health. The little orange reminds of the "ponkans" back home. I miss my craft corner. I don't have a biggie room nor do I have my own craft room, but I do have a functional craft corner within my room. I'll be missing it on the first half of this year. Sigh...I wish I can rebuild it easily or bring over my existing stuff. 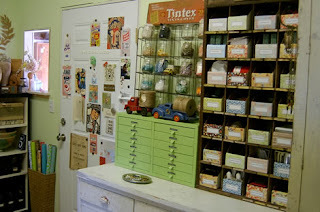 Anyhooo...to keep me inspired while I go crafting hiatus in the coming days, I find inspiration on other crafters' spaces and organizers. Who wouldn't fall in love on this apple green shelf? I would. I also love how the scissors line up in a rack. 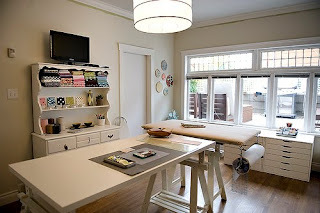 If you like a homey and country style crafting space; then, head over to Modish's Handmade Spaces. Double sigh...I feel nostalgic. You have enough? Hold your breath on the next images. 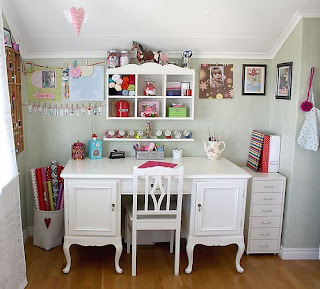 These are fanciful and whimsical craft spaces and organizers. 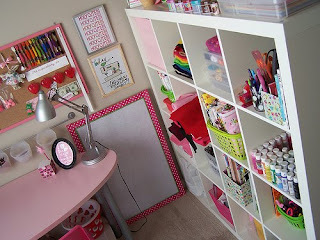 These are too lovely, I guess if I have these spaces I may not be able to create anything due to fear of scratching or disorganizing my spaces. Hhhmmm, but on second thoughts, may be not...crafting on these spaces will be fun. 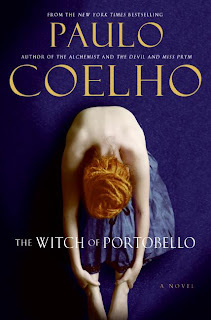 The Witch of Portobello is the 6th book I have read among the Paulo Coelho books. It's evident that I am a big fan of this writer. It all started with the Alchemist; and it still is my most favorite Paulo Coelho book. But this post is not all about the Alchemist, it's my summarization and a little insider about The Witch of Portobello. I must admit that I was not too keen on this book two or three years ago. I was reading the first few pages of this book at a bookstore and I was confused on how the writer presented the story. It was written by a third person's point of view. Interestingly enough, when I tried to read the book this time around, I was amazed at how the transcriptions from various people came together to write the story of a woman, Athena, who was gifted to guide the people around her find their happiness and calling in life. This book challenges you to use your free will, to find your inner self, to strip yourself of the society's set rules and norms. In the usual Paulo Coelho style, this book is about love. The writer in a radical way tackles the common issues in the world today such as love in different forms (i.e. eros, a mother's love, friendship, etc.). Love may not be able to conquer all and "love simply is". Athena pursued her dream of having a baby and getting married during the time she left the university. She married an engineering student who also left the university after a disagreement with his parents regarding his marriage. Eventually, they divorced; Athena's ex-husband realized that "he was in a life that he had chosen in the belief that love conquers all. And it isn’t true. Sometimes love carries us into the abyss, taking with us – to make matters worse – the people we love." This book also addresses spirituality and religiosity. You must have an open mind to spirituality in various forms to really appreciate this book and not find it weird or atheistic. all your wishes and more do come true this year!! !